Now that I’ve found and started to get the hang of MuseScore, I’m catching up on a bit of music stuff that’s been lurking at the back of my to-do list for a while. 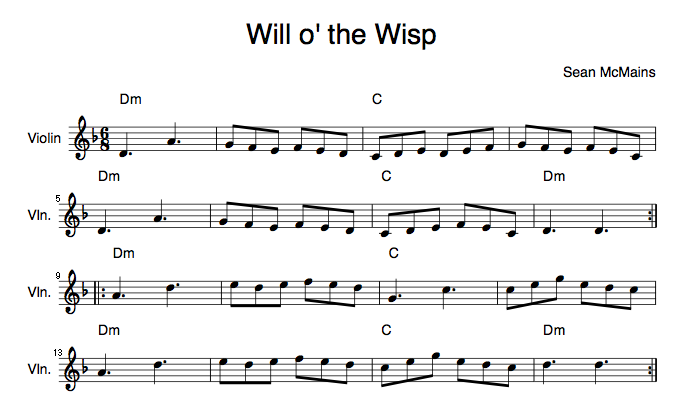 Next up is Will o’ the Wisp, a little Irish Jig I wrote a couple of years back. It’s a trifle, but kind of fun, and is released under a Creative Commons Attribution Non-Commercial license, so you’re free to perform, remix, and otherwise mess around with it if you wish. You can also grab it in PDF if you like.